What's the Roesch? : Go Colts! 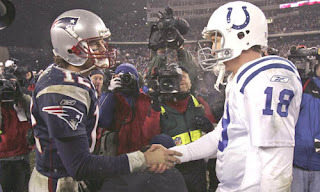 When the Patriots play any team but the Colts, they have my full support (not that they need my help this season), but in this Sunday's marquee match-up between the two undefeated NFL powerhouses, to assay any confusion, I'm still a Hoosier at heart. How'd that work out for you, the whole cheering for the Colts thing?